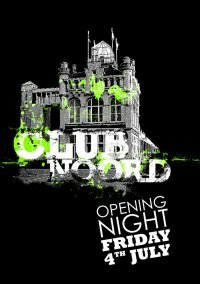 Club Noord is a new concept night at the Noorderterras in Antwerp. Every first friday of the month you can get wild on the most banging electro music you can handle (or maybe not ;-)). Dresscode? Very open-minded, so the correct answer is actually: none :-). No Nano-sur-l’O-snobbism, no fancy-pancy-VIP-thing like Noxx. Come as you are and have fun! Not sure you’ll like it? Then come to the opening night on Friday, 4 July 2008 at the Noorderterras next to the Schelde in Antwerp. More news very soon @ Phantom’s place [homepage].